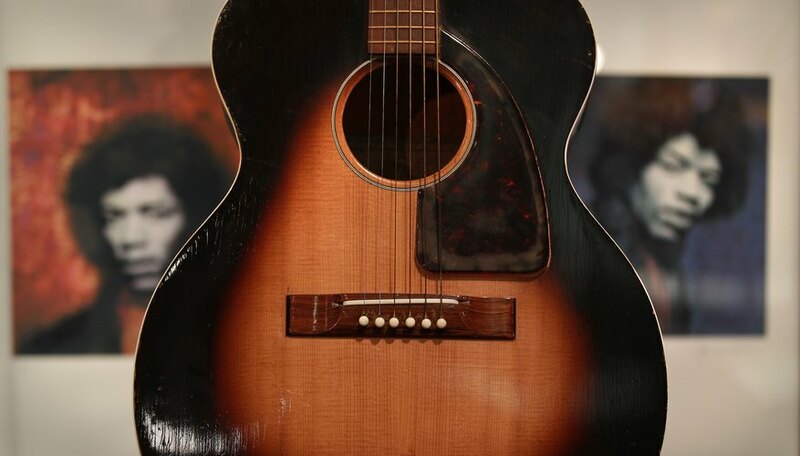 Epiphone was a family business that was created in 1873. Now, however, Epiphone is a subsidiary company of the world famous guitar company, Gibson. Epiphone provides an affordable alternative to the relatively higher priced Gibson guitars. Epiphone guitars come in many varieties, including acoustic, electric, and acoustic-electric hybrids. It can be difficult to date a guitar, but there are some steps you can take to determine a range of dates during which a guitar was created. Locate the serial number on your Epiphone guitar. This can be located in several areas, including the back of the headstock and inside the hole of an acoustic guitar. Go to the website of The Guitar Dater Project. This is an organization dedicated to dating guitars. Enter the serial number in the serial number text box. Enter the model of the guitar in the box below the serial number box. Although this step is optional, it can be very helpful in dating your guitar. Click the checkbox next to "American made?" if your guitar says "Made in the USA" on the label. Select the type of guitar you own from the list. Also, select where the serial number was located from the list. Click the "Submit" button next to the serial number text box. Your guitar's model and year will appear on the screen. Leave items blank if you are not sure of the answer. For example, if you do not know whether the guitar was made in the USA, simply leave that item blank. How Do I Date My Ovation Celebrity? How Do I Tell What Model of Epiphone Guitar I Have?